I’ve suffered from insomnia all my life. With insomnia, I often fail to get the recommended hours of sleep. This makes waking up in the morning a real challenge. I’ve tried many different things to combat this including morning stretches, obnoxious alarm clocks, and taking cold showers. Nothing seems to work as well as Tetris, though. I play a lot of Tetris Blitz on my phone and Puyo Puyo Tetris on the Nintendo Switch. The great thing about both of these games is they’re available on portable devices, meaning I don’t need to boot up my computer in the morning to play a few rounds of Tetris. On an average evening, I’ll set up around 4-5 staggered alarms on my phone to coax me awake. Once I’m sitting up with the phone in my hands, I’ll switch off any unused alarms and check to see how much time I have. When I started using Tetris to help me wake up, I made sure to set my alarms a little bit earlier in order to give myself enough time to play a few games. Tetris Blitz has become my favorite way to wake up in the morning. Waking up earlier may not sound appealing at first, but you can actually save time by giving yourself some wiggle room to play Tetris. First thing in the morning, I’m the farthest thing from fully awake. I know that I need to get up, shower, get dressed, and prepare for the work day ahead. Unfortunately, I’m so groggy that it’s hard to be productive. By waiting and playing a few rounds of Tetris, I’m able to wake up my brain in a way it actually enjoys. If I’m not awake after a few rounds of Tetris Blitz on my phone, I can always grab my Nintendo Switch in handheld mode and play some Puyo Puyo Tetris. Once my brain is truly awake (rather than half-asleep), the rest of my morning speeds by at a quicker pace. If you’re like me and have a hard time pulling yourself out of your warm bed in the morning, you should definitely download Tetris Blitz on your phone. It’s free, easy, and seriously addicting. Furthermore, if you already own Puyo Puyo Tetris on the Nintendo Switch, try leaving your handheld device within reach of your phone or alarm clock. Adding Tetris to your morning will take a little practice (just like the game of Tetris itself). However, once you fall into a routine that fits you, you’ll never want to go back to a Tetris-free morning again! 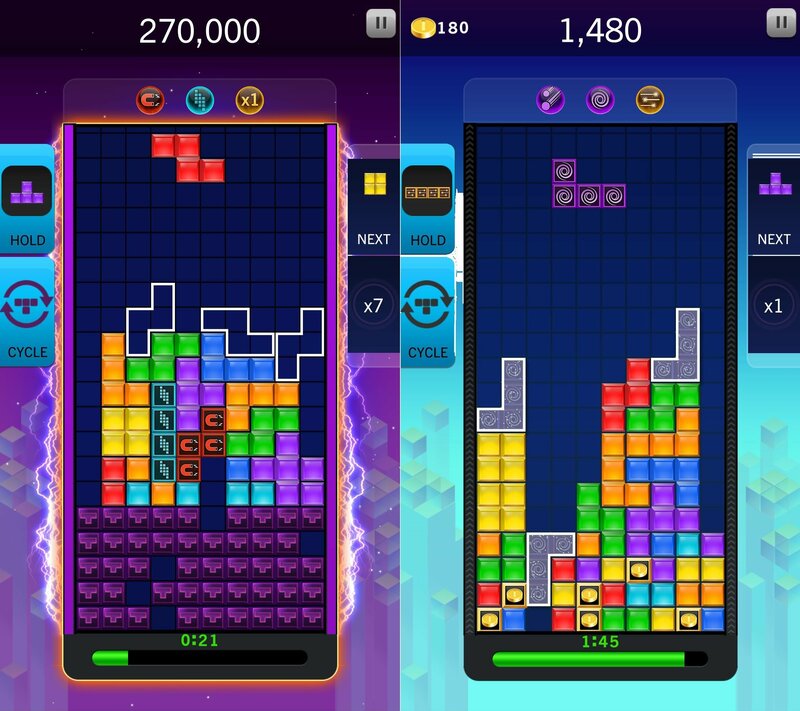 Need to get a little Tetris practice in before you go to bed tonight? Click here to play Tetris for free right here on our website!